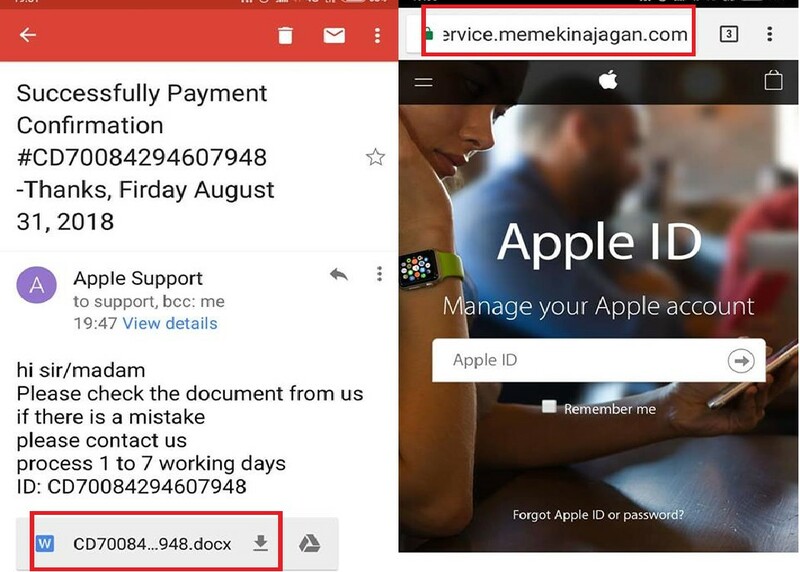 A Gmail user received an email claiming to be from Apple Support, The title resembles the actual Apple store receipt but it contains an unknown file and a link to a phishing website. FIles that appear to be word files might not be a word document. Although major email providers such as Gmail or Outlook has built-in antivirus virus features but it does not guarantee 100% that it will be able to detect. For emails detected with viruses are typically send to spam or the email does not even reach the target email at all. The objective is to force the target to key in credit card information or steal usernames and password. Please do not fall victim to this scammers. Please share this out. New way to scam your id. No deduction was made in my bank account.